A Quinceañera, the feminine form of “fifteen-year-old,” celebrates the girl’s transition from childhood to maturity. This milestone is a tradition for Mexican, Cuban, Puerto Rican, Central and South American cultures. It originated in ancient Aztec times. The event begins with a religious ceremony followed by the reception. She often receives a tiara, rosary, and bible for the ceremony. Specific traditions vary from culture to culture. One of the most common customs is the “Changing of the Shoes”. The father or male figure changes the girl’s flats to high heels to symbolize the transition into womanhood. Food, music, dancing and a toast to the birthday girl are to follow! There are only a few most important events in one’s life. Your wedding day, college graduation, prom and retirement party, among others. In Hispanic culture, one of these significant days is the Quinceañera, a young girl’s 15th birthday. Age 15 marks a girl’s coming of age and entrance into womanhood. Like a Sweet 16, a Quinceañera is a milestone year for Latin Americans, and definitely one of the most important days in her life. 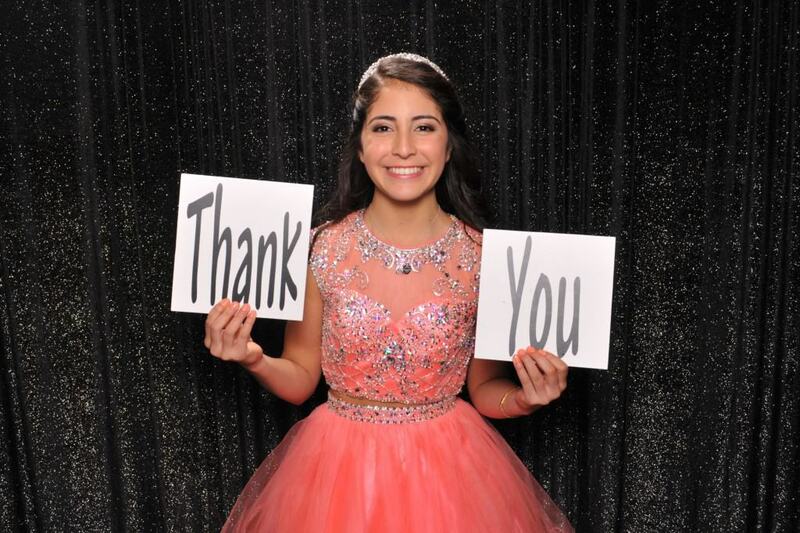 1000 Words Events has recently been booking more and more Quinceañeras and we are loving it! This vibrant celebration is so much fun. We’re happy to document one of the most special days in these girl’s lives through photos. 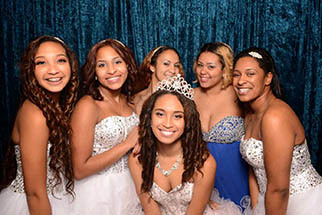 Our photo booth services are perfect for Quinceañeras. Guests can come snap pictures throughout the reception and go home with fun photo from this special day. The birthday girl makes a beautiful focal point in the photo reel with her big, bold princess dress and tiara! A photo booth is a great activity for guests to enjoy at their leisure throughout a Quinceañera reception, providing wonderful keepsakes from this special day. Contact us today to help you celebrate this milestone birthday with fun photos for guests to look back on for years to come!